General Electric has slashed its profits guidance after posting a quarterly loss due to weak trading in two key divisions. The industrial group it unveiled a 5% fall in third quarter earnings to $1.8bn, sending its shares sharply lower before later recovering. New chief executive John Flannery is due to announce a restructuring of the group next month. GE's divisions range from jet engines, oil, transport, healthcare and finance. A weak performance in its power and oil and gas businesses, plus higher-than-expected restructuring costs, were the main causes of the profit decline. Profit in the power business, which makes generators, turbines, and related equipment, fell 51% in the quarter. GE also cut its forecast for full-year operating profits to between $1.05 and $1.10 a share, compared with the estimate of $1.60-$1.70 a share it made in July. 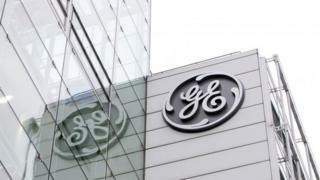 In early trading on Wall Street, GE shares were down more than 3%, the second biggest faller on the Dow Jones index. It later made back those losses to finish the day 1% higher after investors warmed to a pledge by Mr Flannery to do what it takes to turn around the firm. Mr Flannery, who took over from GE veteran Jeff Immelt, said on Friday that investors could expect "sweeping change" from his review of the businesses, and that the company would focus on profit, cash generation and accountability of employees. He said he saw room to cut more than $2bn in costs next year, double the current target, and that he had found more than $20bn in assets that GE could sell over the next two years. The new boss has already started shaking up the leadership team, and recently gave a board seat to activist investor Trian Fund Management. The company, one of the biggest in the US, reported a 14% rise in revenue to $33.47bn in the third quarter, boosted by the acquisition of oilfield services provider Baker Hughes.